My name is Marlene and I’m a reconstituted boiled frog. 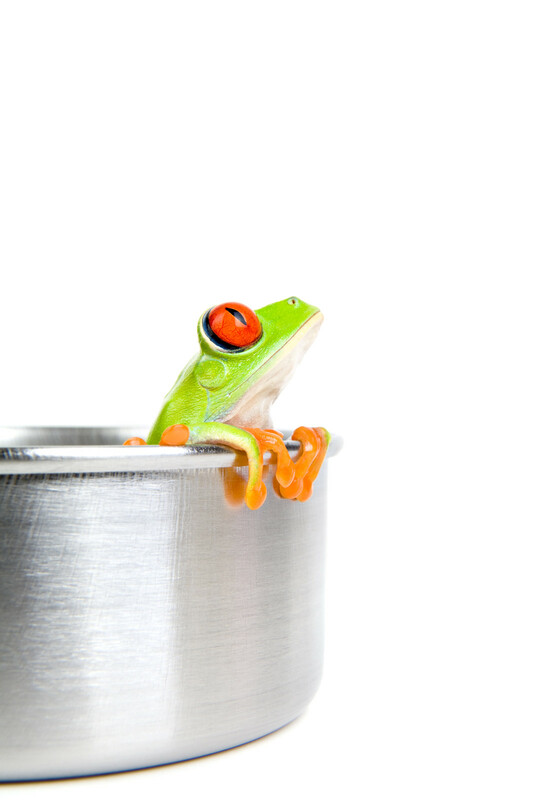 If you haven’t heard the parable of the boiled frog before, it goes like this: if you drop a frog into a pot of boiling water it immediately tries to jump out, but if you put it into a pot of cool water and slowly bring up the heat, froggy will swim round and round until it’s, well, boiled. This is a good analogy for my past career. Had I entered the workplace under the conditions I left it, I think I would have jumped out as soon as possible and found something else. Instead, the demands of work gradually built up over the years to the point where my high pressure, unhealthy lifestyle was simply normal. It’s not like I was unaware of all this; for years I actually referred to myself as a boiled frog. Go figure. Although I longed for a life where I could pursue the creative interests I enjoy and spend more time with my family, especially the ever-so-charming Little and Littler Misses, I continued to swim around and around in the same old pot, just like our hapless friend the frog. Just over a year ago, I had an epiphany of sorts and finally decided to jump out of that boiling cauldron. I was fortunate in that eligibility for early retirement served as both a springboard and a landing pad for me. Waiting for that ‘ticket’ was one of the reasons I’d stayed in the hot water so long. Even so, part of me still argued that I should be financially sensible and work for another five years, but I knew in my heart there were more important things in life. The time was now. You see, I may have been a boiled frog, but I was a frog with big dreams. More important than what I was jumping from, was what I was jumping toward. There was never any question of how I would fill my time, only of how I would fit it all in. There was so much I yearned to do, and I didn’t want to wait any longer. I wanted to pursue my passions and dreams, to spend joyful time with my partner and family, to nurture my creative side. I still wanted to work, and my plan was to use my blog, my only active non-work pursuit, as a stepping stone into freelance writing. A year has passed since I made the leap, and it’s proven to be the best decision I could have made. I’m much more rested and relaxed, and the rumour is that I’m easier to live with too. I giggle with my granddaughters more. I’ve continued to build my blog and have been developing a reputation in the local food community by networking, volunteering and learning. Since December I’ve been contributing the “Recipe of the Week” and a monthly food column to LFP Neighbours, a supplement of the London Free Press. And just this week I was offered freelance writing work on topics other than food. It’s early stages, but I can call myself a professional writer now. Pinch me, is this really my life? I’m no longer a boiled frog; I’ve reconstituted myself. Life is pretty good on this new lily pad even when the waters in the pond get a little choppy (it’s still real life, after all). Here I am: pursuing new challenges, savouring life, filled with gratitude. Chasing my dreams. Happy. If my corporate career taught me anything, it’s how important it is to recognize when it’s time for a break. I’ve been blogging at Life Through the Kitchen Window for two and a half years now, posting on average twice a week. I started when I was working full-time plus, and have continued through vacations, injury and illness. It’s time for a little break. 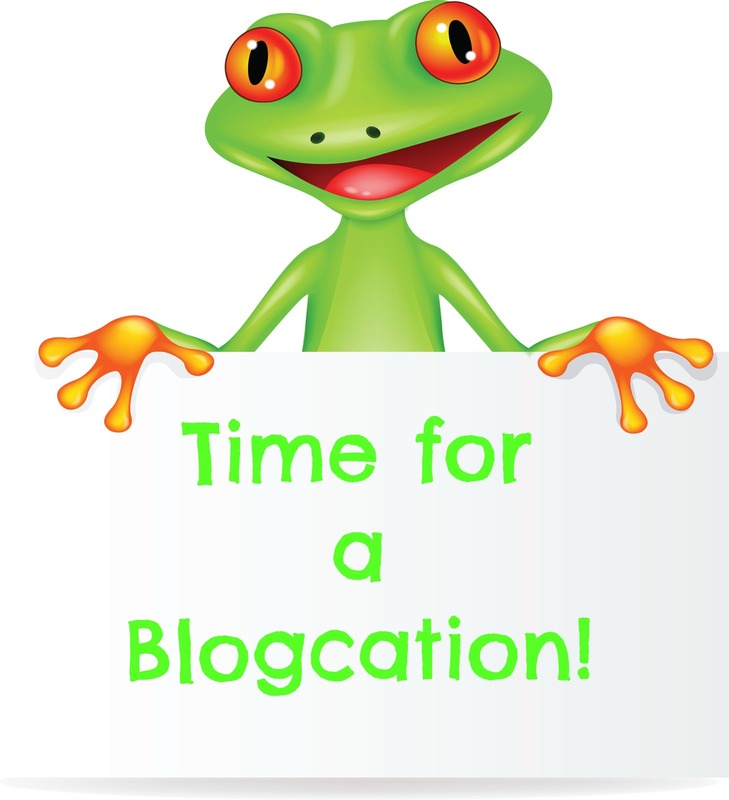 So, I’ll be on a blogcation for the month of March. I’ll be back once with a book review that I’ve committed to do, and I’ll likely put the occasional post up on my Facebook page or Twitter (after all, my kitchen’s not closing). To tell you the truth, I’m finding it a little difficult to actually break away, which underscores for me how important it is to do this. I’ll be spending March dabbling in some personal and professional projects, focusing on family time and just putting my feet up and reading like a happy frog. Gribbet. I’ll miss you, and already am as excited as all get out to return in the spring. Until then, here are a few images from recipes I’ll be sharing when I’m back. Great photos – I enjoyed this! Marlene, so many wonderful adventures are just around the corner for you. How exciting! Many thanks, Sharon, and beat wishes to you too! Oh no. I so look forward to your postings. A whole month. What will I do. I know, I’ll plan for the day I jump out of the boiling water. This morning I submitted my retirement and I’ll be out of the pot June 27th. Wonderful! I can hardly wait until you join me on the lily pad! As for the next month, I’ll still be posting my kitchen goings-on on my Facebook page so you don’t have to live without me entirely, lol. Congratulations again! Thank you, Karen. Let’s hope spring has arrived for real and not just on the calendar when I return! It’s so important to step back now and then:) We’ll be here when you get back! Definitely something I need to think about. Been swimming for a while now and need to re-evaluate how I have been doing things. See you in 6 sleeps! Thanks for the advice and the link. I’m glad this was helpful. I spent a lot of years running on that wheel, and now have the benefit of hindsight! See you soon!